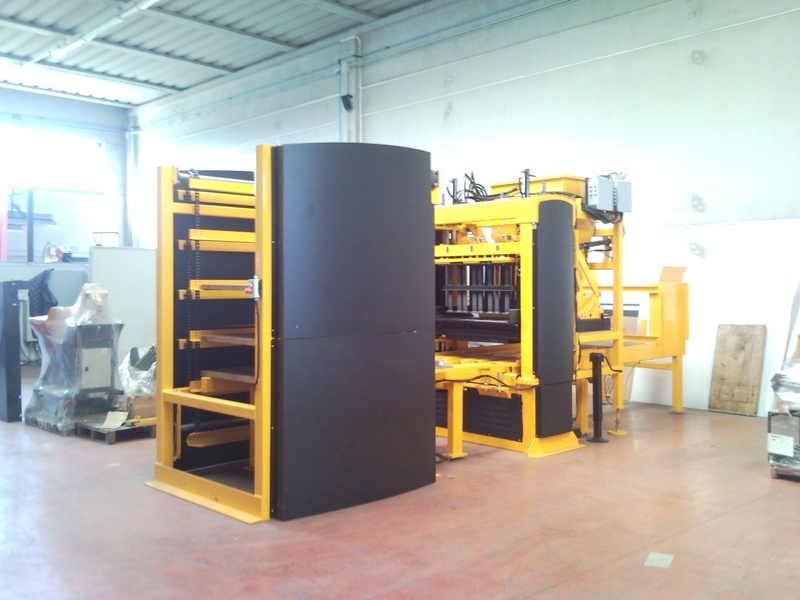 Automatic plants for the prefabrication of blocks, curbs, pavèes and so on. Easy to use AUTOMATIC SYSTEM, ideal for in-factory production of an unlimited range of prefabricated concrete agglomerates such as masonry blocks and floors, pavers, curbs etc. characterized by a large 1130 x 600 mm wooden board with high automation, an elevator system, a sliding table for forming boards. In this case, the hourly production is 600-650 blocks / h.